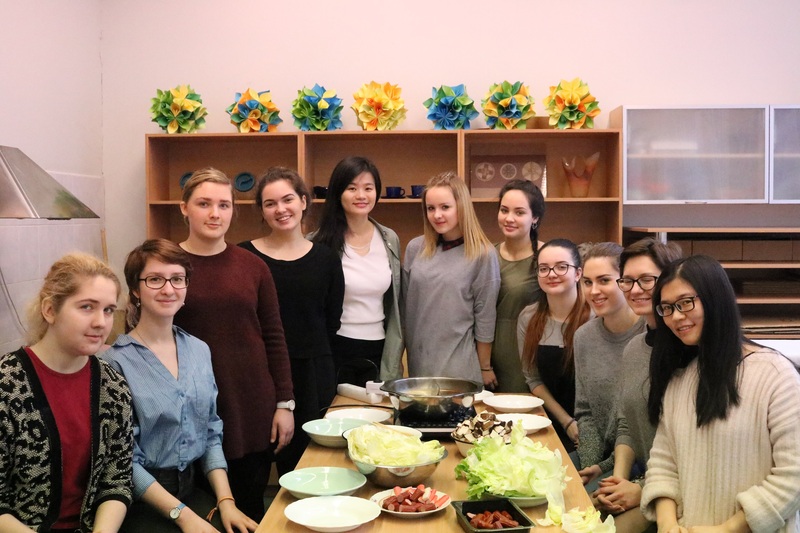 RIGA, April 19（Xinhua）–Latvia Riga municipal government presented an appreciation letter to Chinese teacher Dong Fang for her hard work and outstanding contributions to Chinese teaching. 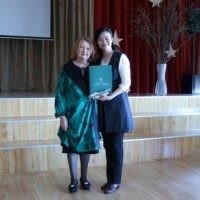 Solveiga Linda Remesee, the principal of Riga Cultural Secondary School where Dong Fang working, handed an appreciation letter which came from the Riga municipal government over to Dong Fang at the awarding ceremony. 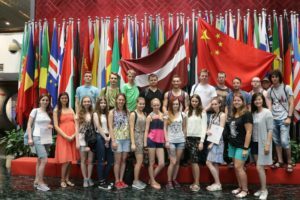 Riga Cultural Secondary School has always enjoyed a great reputation in Latvia. 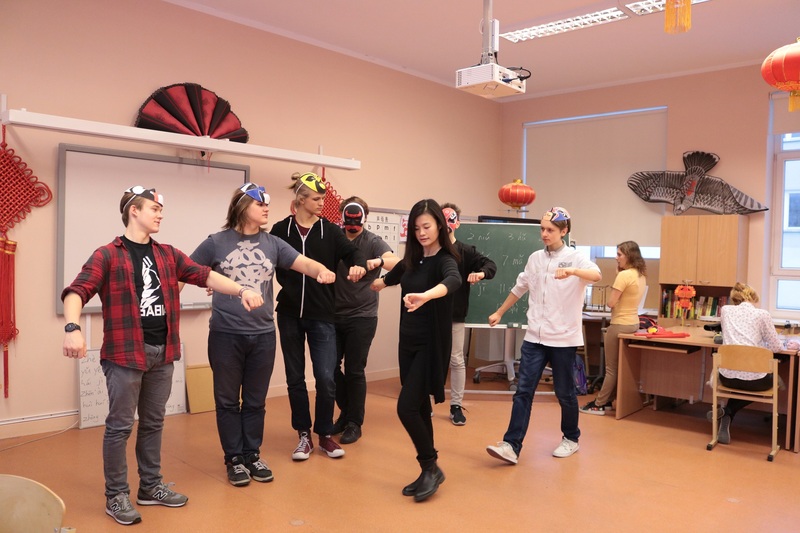 On June 18th, 2013, Hanban/Confucius Institute Headquarters officially approved the establishment of Confucius Classroom at Riga Cultural Secondary School, which is affiliated with Confucius institute at the University of Latvia. 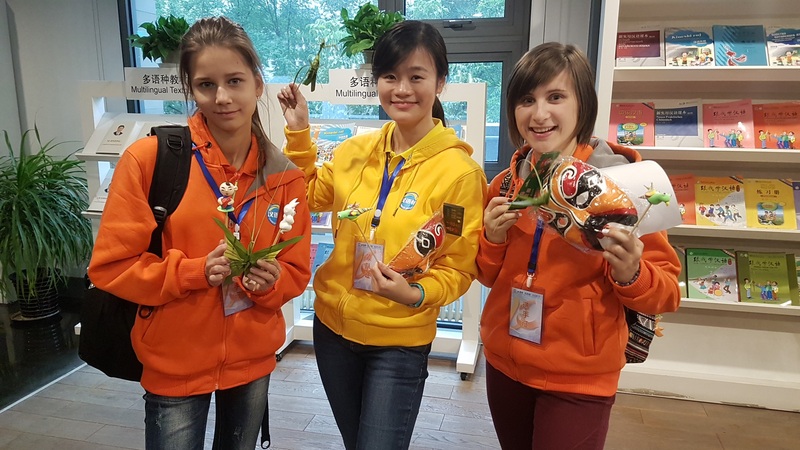 It is the first Confucius Classroom not only in Latvia, but also in the three Baltic states. 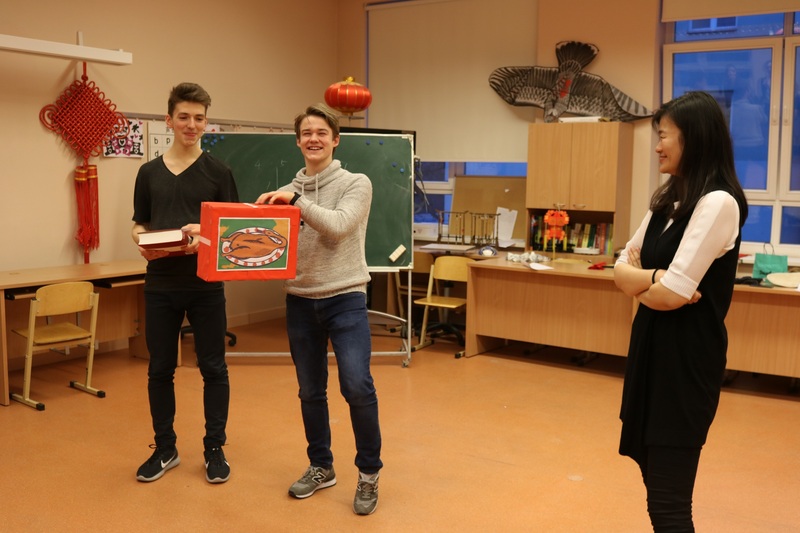 In October 2013, Dong Fang was send by Hanban, became the first Chinese teacher in Confucius Classroom at Riga Cultural Secondary School. 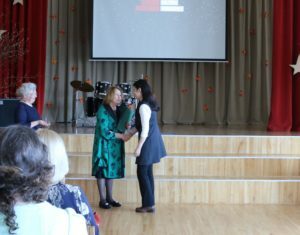 So far, she has worked at the school for nearly five years , who is the longest-serving Chinese teacher. 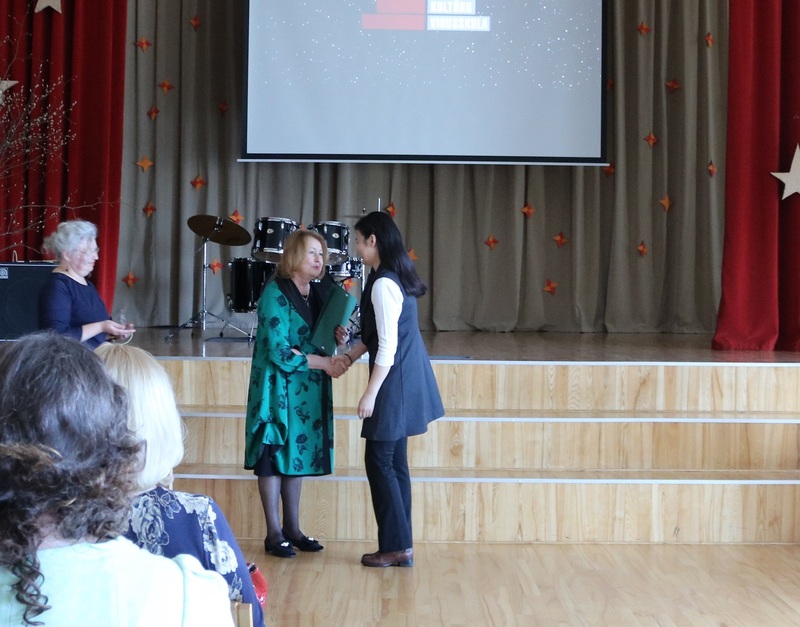 In September, 2017, Dong Fang was awarded the title of Excellent Teacher of Riga Cultural Secondary School. 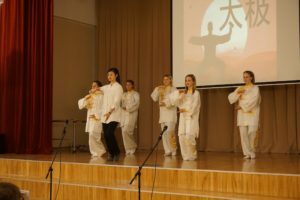 “We appreciated for her outstanding performance in promoting Chinese teaching as well as cultural exchanges between Latvia and China. 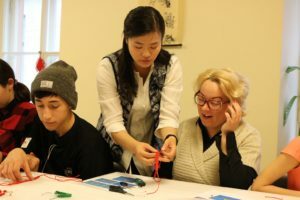 She sparks students’ inspiration of Chinese learning through Chinese learning and varies Chinese cultural experience activities. We are so thankful and approbatory for her four years efforts in teaching Chinese and cultural exchange works. 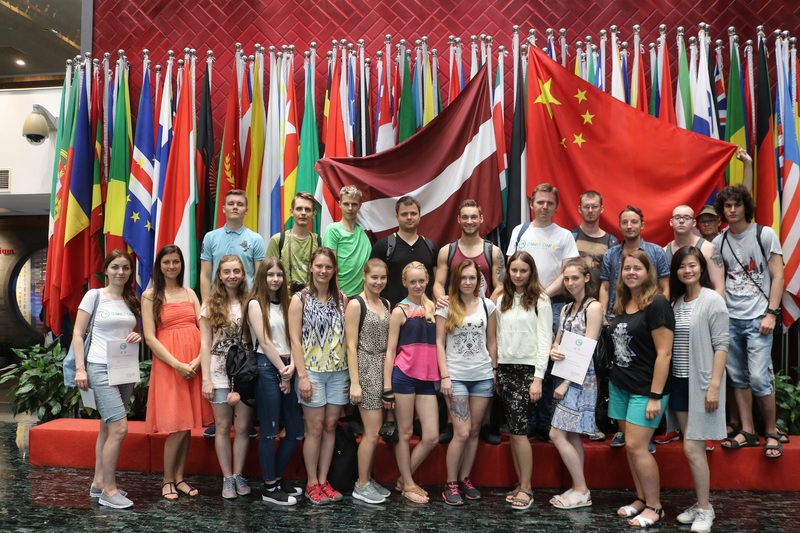 ”Said the Principal of Riga Cultural Secondary School Dr. Solveiga Linda Remese. ” Dong Fang is the model and the backbone of Chinese teaching in Confucius Institute at Latvia University. She has a strong sense of mission and responsibility. 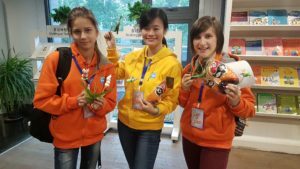 She has rich teaching experience and has devoted herself to the front line of Chinese teaching. She has made outstanding contributions to the Confucius Institute and the Confucius classroom.”the Latvia-side director of Confucius Institute at Latvia University Professor Peteris Pildegovics highly appraised. “I have known Dong Fang for 4 years. It is with such a person full of positive energy and infinite charm who inspires my interest in Chinese calligraphy and art. She is like a magnet to attract people and stimulate people to communicate. Everyone wants to be friends with her. ” her student Arta Rozena appraised. Dong Fang has enormous enthusiasm for Chinese teaching, she commits to teaching Chinese and spreading Chinese culture abroad.For these years, she has been responsible for the teaching tasks of six classes and the organization of various cultural activities of the Confucius classroom. At the same time, she has taken on a great deal of work of Confucius institute and has been in charge of the annual Chinese Bridge Competition, the Chinese proficiency test, the planning, organization and arrangement of various activities which related to Chinese traditional festivals, each of which is the embodiment of her efforts and sweat. “This is not only a recognition and encouragement for me, but also a fully understanding and enthusiastic support for Confucius institute” regarding the commendation of the Riga municipal government, Dong Fang modestly said to the reporter. “There are too many feelings in my heart. 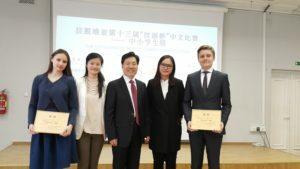 Over the past four years, I have proved myself to the school through hard work, and I have also handed over a satisfactory answer to my Chinese career.” she said so.